Edith Nesbit's natural gift for storytelling has brought her worldwide renown as a classic children's author. But beyond her beloved children's stories lay a darker side to her imagination, revealed here in her chilling tales of the supernatural. Haunted by lifelong phobias which provoked, in her own words, 'nights and nights of anguish and horror, long years of bitterest fear and dread', Nesbit was inspired to pen terrifying stories of a twilight world where the dead walked the earth. 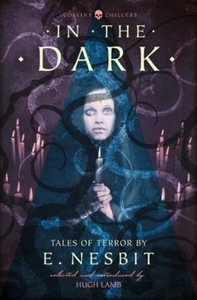 All but forgotten for almost a hundred years until In the Dark was first published 30 years ago, this collection finally restored Nesbit's reputation as a one of the most accomplished and entertaining ghost-story writers of the Victorian age. With seven extra newly-discovered stories now appearing for the first time in paperback, this revised edition includes an introduction by Hugh Lamb exploring the life of the woman behind these tales and the events and experiences that contributed to her fascination with the macabre.